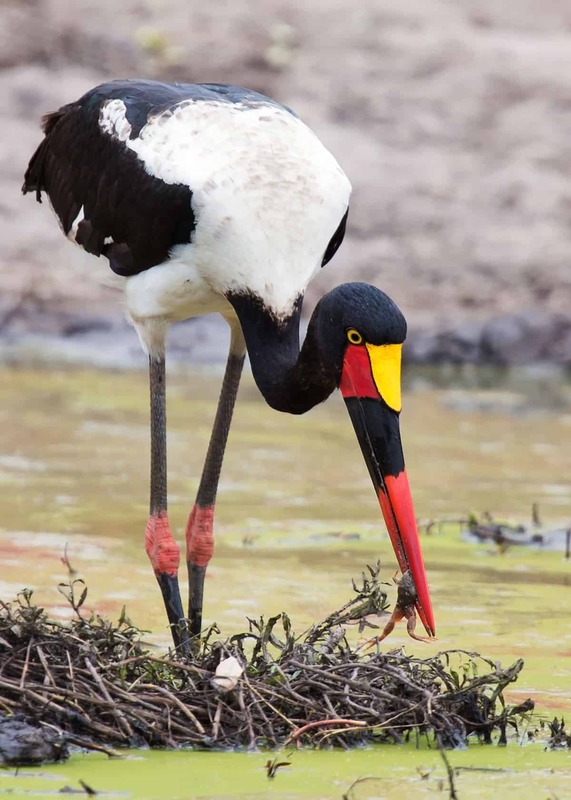 12 days Uganda bird watching safari - AA Safaris and Tours Ltd.
Home » Bird watching safaris » 12 Days Uganda bird watching safari. Join our 12 days Uganda bird watching safari for an opportunity to spot at least half of the 1000 bird species that Uganda has to offer. Some of these birds include shoebill stork, the Fox’s weaver, Africa fish eagle, the Broadbills, Cuckoos and so much more. Most of our Uganda safaris focus on wildlife however a wildlife and bird watching safari can be organised. Day 1: Arrive Entebbe Airport. 10 minutes drive BB. 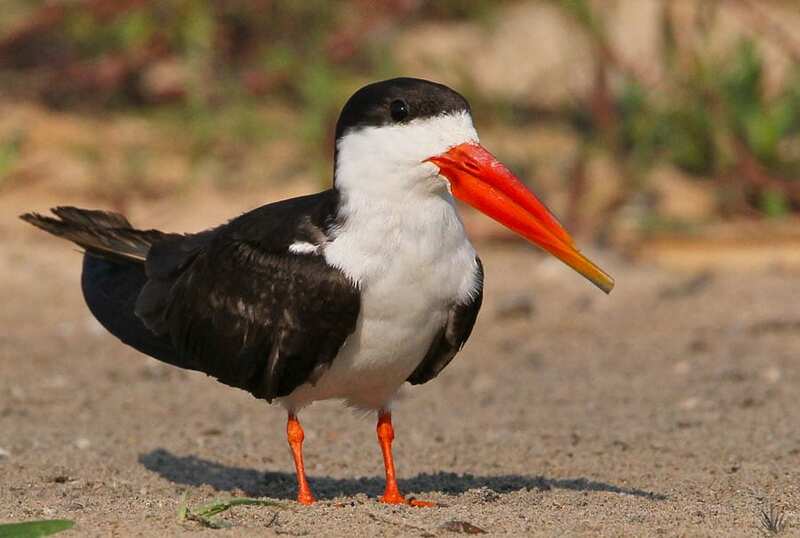 In the morning right after breakfast, you will transfer to Mabamba wetland to spend a day there bird watching. 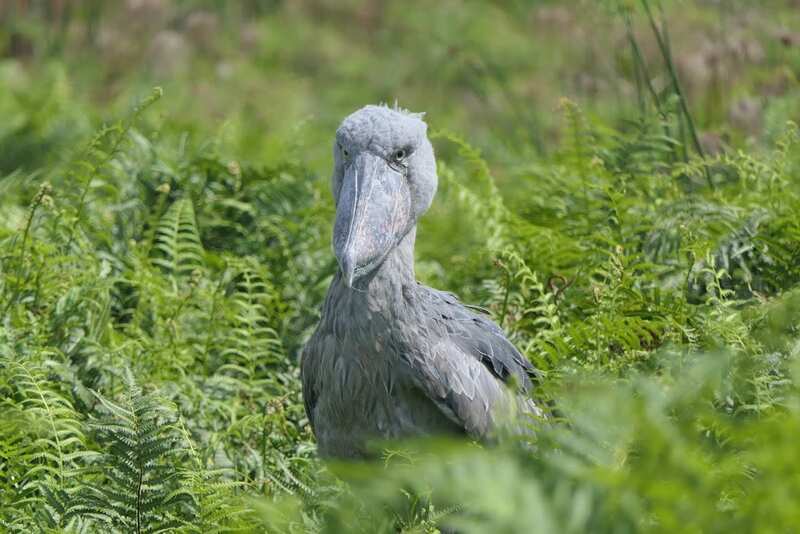 Mabamba wetland is most known for the shoebill stork, pygmy goose, Africa Jacana Goliath, Grey and Black Headed Herons, White Faced Whistling Duck and so much more. Overnight at Central Inn Hotel Entebbe. In the morning right after breakfast, you will drive to transfer to the Zziwa rhino sanctuary. Go visit the rhino sanctuary track rhinos and then go bird watching. Watch out for birds like the African Broad Bill , Brown-crowned Tchagra, African Citril, Brown-throated wattle-eye, African Fish Eagle, African broadbill, red-billed Fire Finch, Heuglin’s Francolin, Shoebill stork and so much more. Overnight at Zziwa rhino camp. In the morning go for a game drive searching for birds and then later in the afternoon, you will drive to transfer to Murchison Falls National park. Overnight at Red chilli Camp. In the morning before sunrise, you will go for a game drive searching for wildlife and birds. Watch out for birds like Vinaceous Dove , Swallow Tailed Bee-Eater , Chestnut capped Weaver, Silver Backed Jackals , Silver bird, Carmine Bee-Eater, Common Drongo, Spotted morning Thrush Bruce’s Green Pigeon, Black billed Dove ,Namaqua Dove, White Fronted Black Chat, and so much more. Later in the afternoon, you will go for a boat ride along the Nile. Watch out for game at the shores and also plenty of birds like the Egyptian Plover, Water Thick-Knee, Spur Winged Plover, Rock Pranticoles, among others. 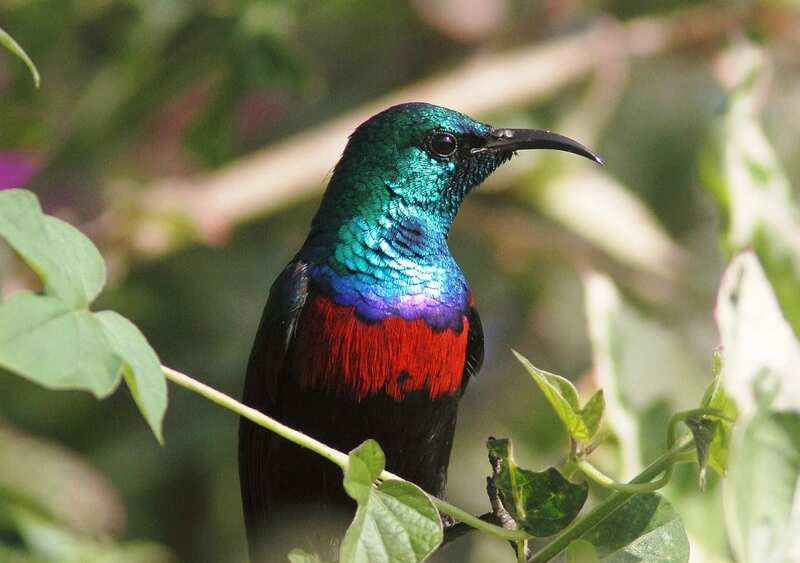 Spend the entire day bird watching in Murchison Falls national park. Watch out for birds like Black-bellied Bustards, Marabou Stork, Secretary Birds, Open-billed Storks, Abyssinian Ground Hornbill and Widow Bird. Gor bird watching near the river in the thickets and woodlands. Watch out for Hornbills, Woodpeckers, Grey heron, warblers, Hammerkop and so much more. Overnight at previous hotel. In the morning right after breakfast, you will drive to transfer to Fortportal kibale national park. Arrive in the evening and relax. Overnight at Kibale forest camp. In the morning after breakfast, you will go trek chimpanzees, during the trek, watchout for plenty of birds like Kibale is a home to over 375 bird species and some of them include; Yellow-rumped Tinker bird, Brown Illadopsis, Purple-breasted Sunbird, the Abyssinian Ground-thrush, Blue-breasted Kingfisher, Red-faced Woodland Warbler, and the African Pitta and so much more. Once you meet the chimpanzees, you will be allowed to spend 1 hour following them and then proceed. After the search for chimpanzees, return to the starting point. Later in the afternoon, you will go for a nature walk in Bigodi searching for birds. In the morning right after breakfast, you will drive to transfer to Queen Elizabeth national park. The drive will take you 3 hours arriving in the afternoon. Check into your hotel to have lunch and then later go bird watching in the crater lakes region. Overnight at Simba safari camp. In the morning before, sunrise, you will go for a game drive in Kasenyi area searching for both wildlife and birds. Watch out for birds like Martial Eagle, White-tailed Lark ,African Skimmer, Chapin’s Flycatcher, Pinkbacked Pelican, Verreaux’s Eagle Owl, Black Bee-eater, Black-rumped Buttonquail, White-winged Warbler, Corncrake, Lesser and Greater Flamingo, Papyrus Gonolek, Papyrus Canary, Shoebill, Bar-tailed Godwit, African Broadbill and so much more. Later in the afternoon, you will go for a boat cruise along the kazinga channel, one of the best place to spot birds. Today you will go bird watching near Lake Kikorongo area and then later go bird watching in Ishasha sector. Spend the entire day bird watching near the Ishasha river. Overnight at the Ishasha camp. Day 12: Transfer to Kampala. / Entebbe airport. In the morning right after breakfast, you will drive to transfer to the Ishasha sector searching for tree climbing lions and then later drive to transfer to Kampala. Proceed to the airport to catch your onward flight back home. End of 12 days Uganda bird watching safari.